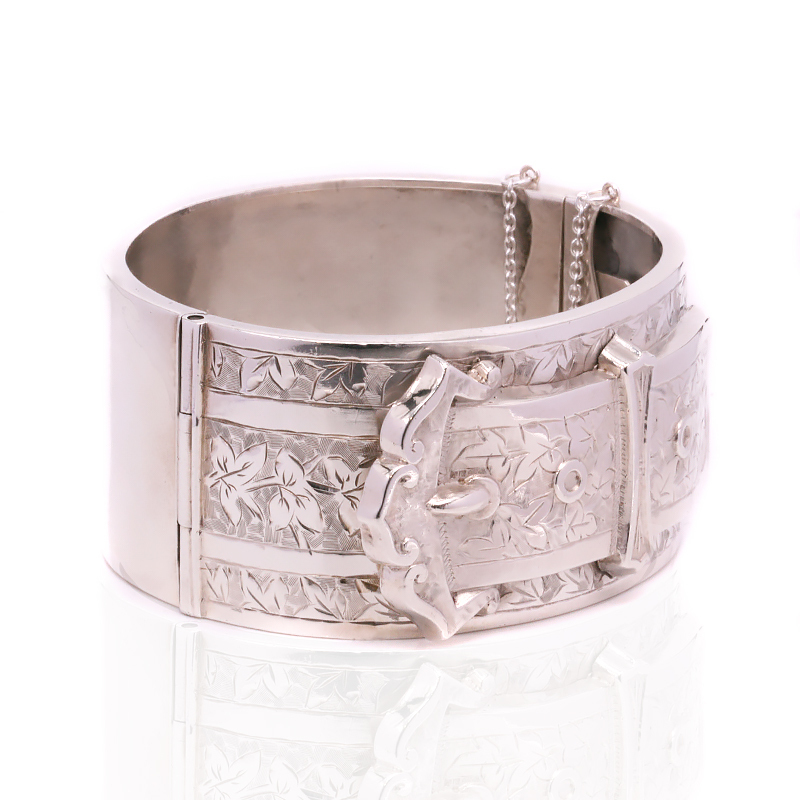 Product code: T231 Categories: Antique, Antique Bangle, Silver & Silver Plate. 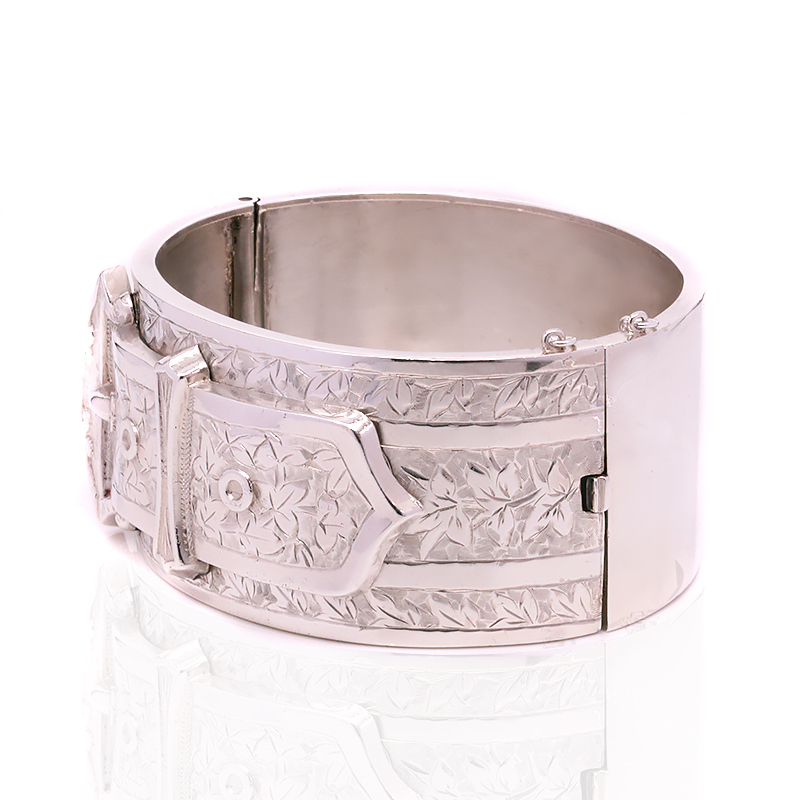 Here is a very beautiful antique sterling silver hand engraved hinged bangle made in 1881 that has the most incredible detail highlighted by a buckle motif. Measuring 3cm wide, the hand engraving alone on bangle is just extraordinary and would have taken an expert engraver hours upon hours to engrave. The detail that can be achieved by this hand engraving technique is so much more detailed and higher in quality than machine engraving and a true testament to what the jewellers of the Victorian era could achieve. The buckle motif was popular in the Victorian period and this one adds a wonderful extra dimension to the bangle which will no doubt always be admired. With an internal diameter of 6cm, it also has a safety chain for added security and being hinged will allow it to sit so nice and close to the wrist. This is a fabulous example of an antique silver bangle that will always look so good day or night. 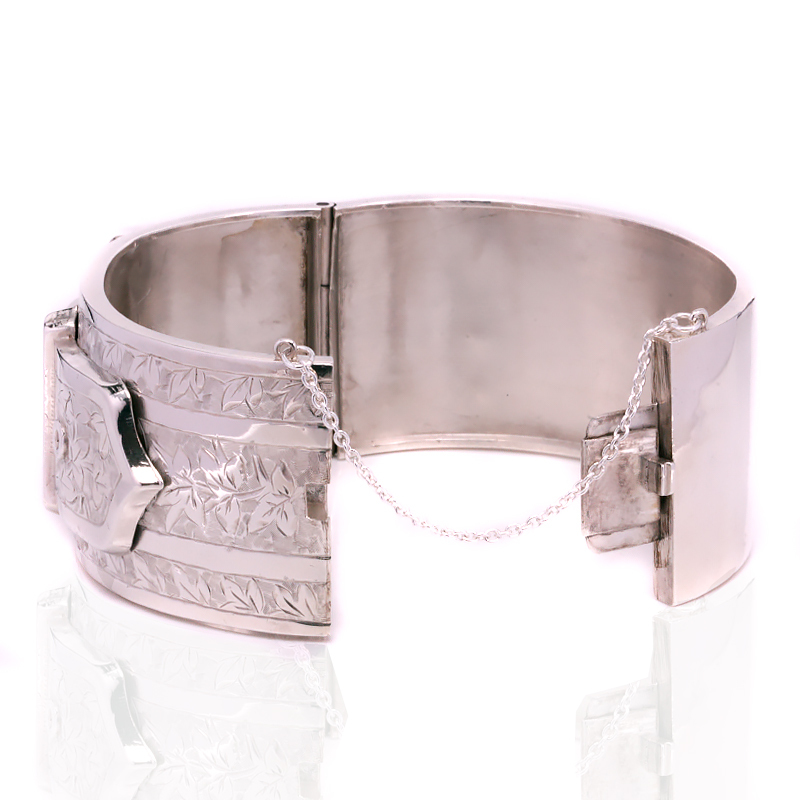 Tag: Sterling silver hinged bangle. Wide sterling silver bangles were popular in the late Victorian period of the 1880’s to the 1890’s. Often measuring over 3cm in width, these antique cuff bangles look incredible day or night. Often highlighted with hand engraving, these antique sterling silver bangles are as popular today as when they were made over a century ago. Being hinged also allows these antique bangles to sit close and securely to the wrist, without them sliding around or falling off.